University has been ranked 75th on the Asia University Rankings 2013 Top 100 by “The Times Higher Education”. a member of the global community. of various social phenomena at hand. experts and/or assets to the industry and communities. 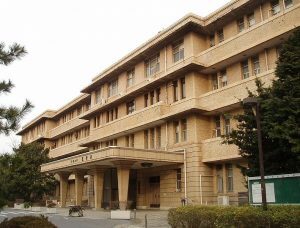 was incorporated into the School of Medicine at Chiba University in 1949. Alumni from this school have contributed greatly to the progress of medicine in Japan. graduates from the Department of Pharmacy are qualified to take the national examination for the pharmacist’s license. successful completion of the required courses, graduates are qualified to take the national licensure examinations for nurses, public health nurses, and/or midwives. Faculty are also fully responsible for research and education within the two-year Master’s and the three-year Doctoral Programs in the Graduate School of Engineering. since it was founded in 1909. It is the only faculty / graduate school known by the name of horticulture among Japanese universities. nature conservation, food system studies, and environmental and development economics.